View Larger Butterfly Crop Hoody White pullover crop hoody, 100% Combed Organic Cotton. Loose fit with raw hem detail. 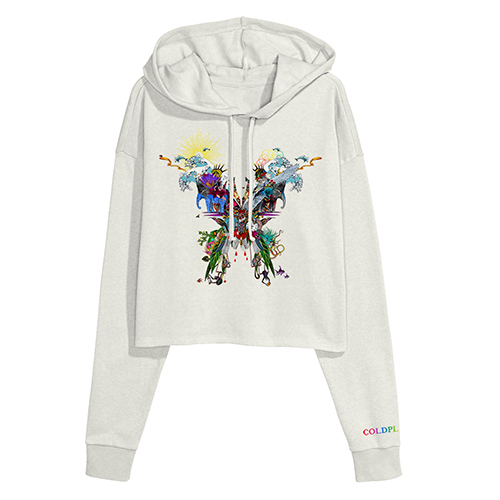 Featuring artwork from the Butterfly package (Live In Buenos Aires / Live In São Paulo / A Head Full Of Dreams - Film) graphic printed on the back and Coldplay logo on left sleeve.